The Electoral College is frequently a mystery even to Americans who have followed many Presidential elections. This is a historical explanation of what the Electoral College is, why it came about, how it works, and some possible problems with it. And who did the first electors vote for? Guess! So how does this actually work today? Each state gets as many electors as it gets Senators and Representatives in Congress. Each state gets two Senators, so each state gets two electoral votes for that. The 435 Representatives in the House are apportioned roughly by population, so each state gets electors roughly proportionate to the population. [ix] For example, California, the largest state by population, gets 53 electors because it has 53 Representatives, plus the two electors it gets for having two Senators. Wyoming, the smallest state by population, gets only one electoral vote for its one Representative, but two more for its Senators, so three in total. And there is one anomaly: the District of Columbia is represented in the Electoral College as if it were a state, so it gets three electors. [x] Hence there are 538 electors (435 + (50 x 2) + 3). For a candidate to win the Presidential election, that candidate must win over half the Electoral College votes, which means 270 are needed to win. Once the appropriate state official certifies the vote, and hence the election of the winning electors, those electors gather at the state capital to cast their votes, which are then certified by state officials and carried to Washington, D.C. There in January, the new Congress will count the Electoral College votes and declare the winners of the Presidential and Vice Presidential elections. Simple. Even though the President isn’t officially elected until the Electoral College votes are counted by Congress in January, we’ll almost certainly know the day after people vote in November who won. But what if something goes wrong? There are three perfectly legal problems that could cause the Electoral College to fail. The first and biggest problem with the Electoral College is that a candidate can win the popular vote and still lose in the Electoral College. There are two reasons why this can happen. First, the Electoral College rewards winning in small states disproportionately to winning in large states, because small states have their weight in the Electoral College increased above their population thanks to the two electors they get just for being states (corresponding to the number of Senators they have). Second, the winner-take-all system of awarding all the electoral votes of a state to the winning candidate means a candidate can barely eke out a popular vote majority in just enough states to win the Electoral College, while being thoroughly trounced in the other states. 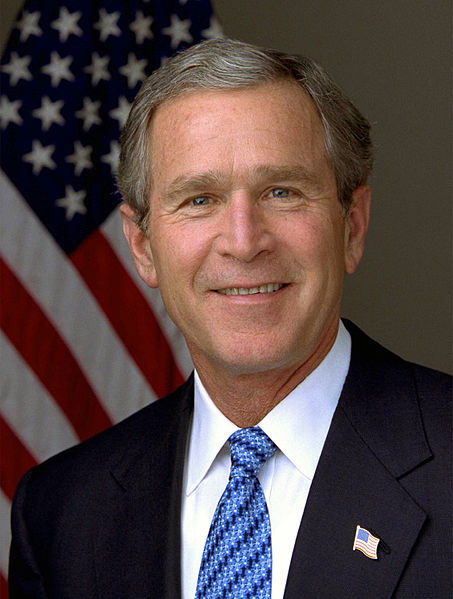 Between losing the popular vote and winning the Electoral College through a controversial Supreme Court decision, George W. Bush had legitimacy problems early in his Presidency. There’s not much that can be done about this. It’s part of the design of the Electoral College. But in these more democratic times, when we feel the will of the people should be the final word, results like these undermine the legitimacy of the Presidential election process and the Presidency. The second problem is that, while the electors are typically chosen from loyal party members who cast their ballots as directed, sometimes electors don’t vote the way they’ve been instructed by the voters and their parties. It’s only happened occasionally, as recently as 2004, but has never influenced an election’s outcome yet. [xiii] Still, such votes are legal and irreversible. Oh, some states have passed laws binding electors to vote in accordance with the popular vote, but the Constitution recognizes no such constraints on an elector’s vote. 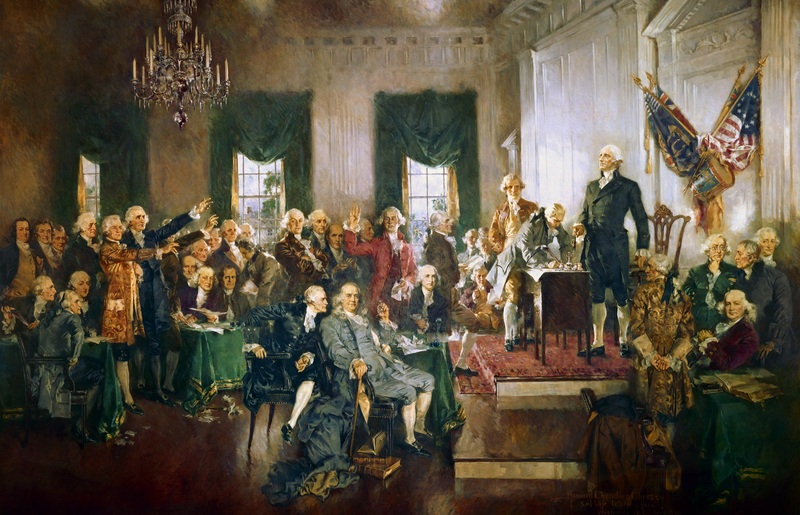 The authors of the Constitution looked at the electors as being local wise men who would vote for a reputable statesman, not party hacks who would blindly follow a popular vote. [xiv] So it’s questionable whether those state laws could actually bind the electors, to say nothing of overturning the votes they actually cast. 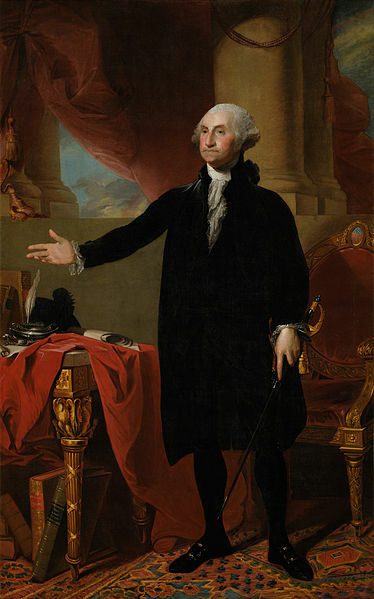 [xv] Neither the states nor Congress have disputed the votes of rogue electors. Conceivably, if enough electors changed their mind, they could elect someone nobody voted for. The third problem is if no candidate wins a majority of the Electoral College, which given the current even number of electors includes the possibility of a tie. It happened once under the current system, in 1824. [xvi] In that case, the election for President is thrown into the House of Representatives. But, contrary to what you might expect, the Representatives don’t vote directly for the President, no. Instead, they have to band together and vote by states, each state getting only one vote. So, if this situation arose, California would have to get its 53 Representatives to huddle and decide which candidate they would cast their one vote for. Imagine the misfortune of a state with an evenly split delegation: it wouldn’t be able to cast a vote at all! While the smallest states, with only one representative, would have an easy time of it. It was a mess when it happened in 1824. 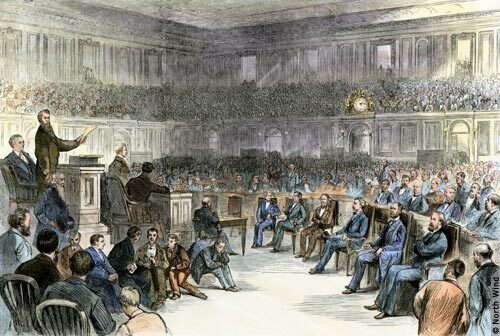 Two of the also-rans, John Quincy Adams (who came in second) and Henry Clay (who came in third in the popular vote, fourth in the Electoral College vote) banded their supporters together to give Adams a majority in the House, and hence the Presidency. 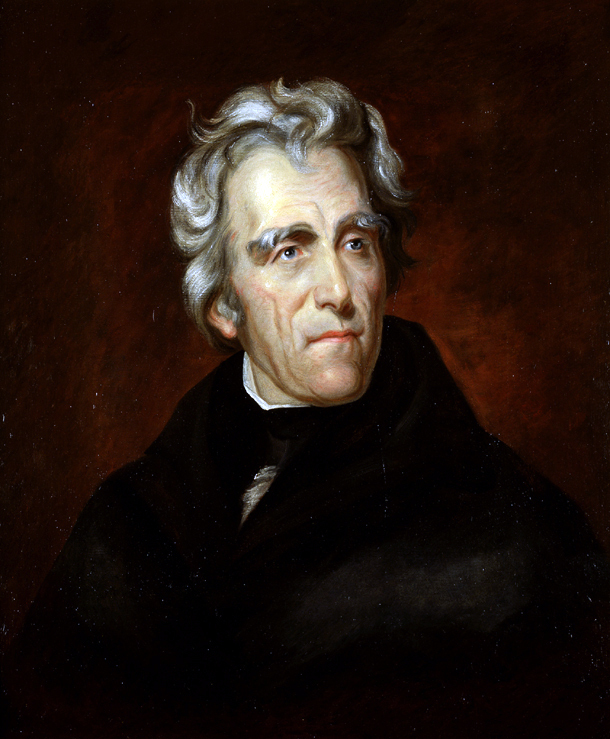 Andrew Jackson, who had won a plurality of both the popular vote (41%) and the Electoral College vote (99 out of 261) felt the election had been stolen from him. His successful campaign four years later against Adams was heavily colored by charges that Adams and Clay had made a corrupt deal in 1824. Fortunately, the possibility that neither Mr. Trump nor Ms. Clinton will win a majority in the Electoral College is still remote, so this third difficulty is still unlikely . . . so far. [i] The Articles were accepted by Congress in 1777, but were not ratified by all the states until 1781. [ii] This was Shays’s Rebellion. The rebels felt that the economy and laws had been manipulated to benefit speculators. The state government viewed the uprising as treason, pure and simple. [iii] The three branches are the legislative (Congress), responsible for passing laws, the judiciary (the Supreme Court and other Federal courts), responsible for judging cases under law and the constitutionality of laws, and the executive (the President and the executive branch agencies), responsible for the administration, execution, and enforcement of the laws. [iv] In the House of Representatives, each state has representation in proportion to its population, while in the Senate each state gets two votes, no matter how many people live in that state. This also resolved the controversy between the large states, which wanted their votes to represent their size, and the small states, which wanted each state to have equal representation. One should also note that who counts as a person and who votes were not simple matters in 1787, let alone the same thing. Native Americans not actually subject to the Federal Government’s authority (“Indians not taxed” in the phrase of the era) were neither counted nor could vote. Slaves were counted as 3/5ths of a person and could not vote. Women and children were counted but could not vote. [v] As the House represented the people directly it was appropriate that it had the shorter term, the better to respond to popular views. The Senate, on the other hand, was not just apportioned equally to each state, but its members were originally elected, not by the voters, but by the state legislatures. Hence their role as a “cooling vessel” for public passions in legislation. It was only in 1913 that the ratification of the 17th Amendment to the Constitution gave the power of electing Senators to the voters directly, instead of the state legislatures. [vi] It was assumed that any Presidential candidate would be a man. The people in the Electoral College are called “electors” because their purpose is to elect the President. [vii] The original system used in 1788-1800 was different in that the votes for President and Vice President were not distinguished. This created controversial problems in the elections of 1796 and 1800. The current system was put into place with the 12th Amendment to the Constitution, ratified in 1804. There have been other minor changes since then. [viii] A candidate who gets more votes than any other candidate is said to have won by a plurality. If the candidate wins over 50% of the vote, the candidate is said to have won by a majority. Every majority is a plurality, but not every plurality is a majority. For example, in a three-way race, a candidate who wins 40% of the vote while the other two candidates won only 30% of the vote apiece has won by a plurality, because the first candidate’s 40% share is bigger than either of that candidate’s opponents. [ix] The correspondence between population and size of a state’s delegation in the House of Representatives is not exact for three reasons. First, the number of Representatives has been fixed by law at 435 since 1929, and fractional representation isn’t allowed; there are going to be rounding errors. Second, each state is guaranteed one Representative no matter how small its population, which means some small states are disproportionately overrepresented. Third, there are several possible algorithms to apportion the remaining seats, but none of them gives a perfect result. [x] This has been true only since the 23rd Amendment to the Constitution was passed in 1961, with the additional provision that the District can never have more electoral votes than the least populous state. Under current circumstances, both rules give the District three electors. [xi] Maine and Nebraska are currently exceptions. They award Electoral College votes both by statewide election and by the vote in each Congressional district. So, for example, if candidate A wins the statewide vote in Maine and in Maine’s 1st Congressional district, but candidate B wins in Maine’s 2nd Congressional district, candidate B would get 1 electoral vote from Maine, while candidate A would get 3 (1 for the Congressional district, 2 for winning the state as a whole). [xii] Note this description does not fit the 1824 election, in which no candidate took a majority of the Electoral College. 1824 is a special case discussed later in the text. [xiii] The most recent cases have been protest votes in which the elector didn’t vote or voted for another member of their party. The last elector to vote for another party’s candidate was in 1972. Technically, the rogue electors of 1836 did change the election, since their actions forced the election into the Senate (see footnote xvii), but the candidate who should have won in the Electoral College did win in the Senate. [xiv] The development of nationwide political parties was not anticipated by the delegates at the Constitutional Convention. And given the slow communications and the large size of the nation back then, the rise of a number of regional parties probably appeared more likely. [xv] After an elector cast a protest vote in 2004, Minnesota changed its rules so that electoral votes could be reviewed before being certified. To date, this mechanism has not been tested by a rogue elector trying to cast a vote for the wrong candidate, so its legality at the Federal level is uncertain. The Supreme Court has held that states can require electors to pledge to support a candidate, but has not ruled in favor of any mechanism to enforce that pledge. [xvi] There was a tie in 1800, but that was under the older system. See footnote vii. This entry was posted in U. S. history and tagged election, Electoral College, history, politics, Presidential election on October 9, 2016 by Brian Bixby. I vote for free painkillers! The headache such electoral matters do give. Though you have explained it rather well. I still like the Athenian method . . . if only it could be extended to include woman and non-landowners. 🙂 After all, we now have the technology. 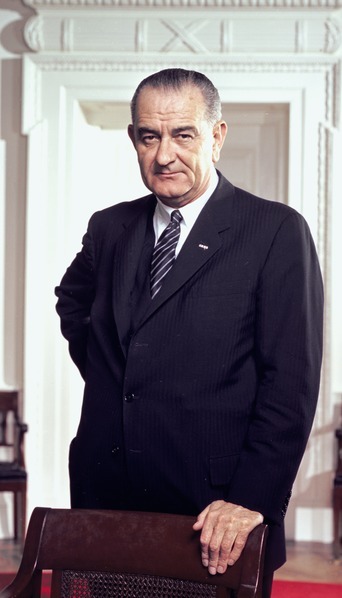 As another alternative, C. Northcote Parkinson once suggested the best way to secure a good Prime Minister was through a competitive contest involving various relevant skills, the winner to be told up front that he or she would be “painlessly euthanized” after so many years in office. :Like that. Much better than the axe, or the guillotine.